Future is the name of several artists: 1) a rap artist from the United States. 2) a Dutch funk band from the '80's. 3) an Italian singer, who won San Remo Junior in 1988. 4) an early incarnation of The Human League, see The Future. 5) a five piece band formed during the summer of 2006 utilizing elements of Hip Hop, Reggae and Rock Fusion. 1) a rap artist from the United States. 2) a Dutch funk band from the '80's. 3) an Italian singer, who won San Remo Junior in 1988. 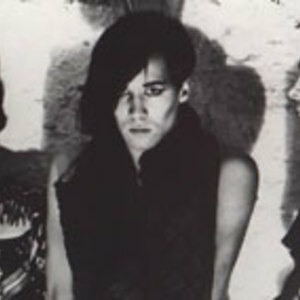 4) an early incarnation of The Human League, see The Future. 5) a five piece band formed during the summer of 2006 utilizing elements of Hip Hop, Reggae and Rock Fusion.